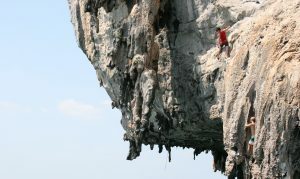 Professional female climber Madaleine Sorkin in Krabi, Thailand. Sorkin is one of a cohort of women in climbing who uses her talents to sweep past many of the men in her field. Photo by Katie Botkin. Happy International Women’s Day! This year, there has already been significant debate around the need to accelerate gender parity. Having worked in the language service industry for more than three decades I have witnessed a significant increase in the number of female owned language service providers (LSPs), with the proportion of female directors now significantly higher than in many other professional services. Of course it hasn’t always been this way. When I established COMTEC Translations Ltd in 1981 I found myself to be the only female on the Council of the Association of Translation Companies (ATC), the sector’s leading professional body. But now, more than 30 years on, I’m proud to say that almost 50% of UK LSPs are run by women, something which is reflected in the current makeup of ATC council members. This stands in stark contrast to other industries, with only 15% of all UK businesses owned or run by females. Indeed, a recent Gender in the Law survey found that three-quarters of firms have a partnership featuring less than 30% women. So what is it about the language service industry that is more conducive to female entrepreneurship? I believe the primary reason is the business model on which many LSPs are based. COMTEC, as an example, operates with a project management team that works with more than 1,000 trained translators and interpreters to fulfill clients’ language service needs. By nature, in addition to providing high quality language services, the business necessitates collaboration, intensive co-ordination, organization and relationship building. While it is foolhardy to proclaim any characteristics as sweepingly male or female, experience shows that this can often be a skill set associated more with females. The proven success of this structure under female leadership, combined with the realization that you can achieve greater work/life flexibility as your own boss, has led to a marked rise in the proportion of women taking control of their destiny and establishing their own translation companies. What’s more, unlike other industries, age doesn’t present a barrier to entry, with the sector proving very fertile for older women with language skills or backgrounds in international business. But while I can proudly talk today about the vital role that women are playing in driving forward a UK industry which is worth in excess of £1 billion and which employs more than 12,000 people, we must guard against complacency. In my role as the first female president of the British Chamber of Commerce, and as a member of the ATC Council, my focus has remained firmly on raising the profile of languages across all stages of the national curriculum and beyond, and supporting female enterprise. The latest figures reveal that while more than two-thirds of students obtaining an undergraduate language degree are female, student enrollments to language degrees fell by an alarming 5% between 2013/14 to 2014/15. What’s more, while women accounted for 70% of those setting up their own business in 2014, “gender blind” policy setting has led to insufficient support for female entrepreneurs through enterprise support infrastructure and the tax and benefits system. This highlights the stark reality of the challenges which our industry faces if it is to continue to prosper; it can only be through a more unrelenting focus by the government on embedding languages into our education system and supporting self-employed women that the UK can realize the full potential of the language service industry, not only in leading the way in gender parity but supporting economic prosperity and growth on a national level. Erica Haims has held long-term roles at Atlantic Records and Apple. She recently launched Haims Consulting to assist brands with their global marketing execution.